I pass a beautifully dressed, well-put-together mother of four and promise myself that from that moment on I will start dressing incredibly fashion-forward. That happens to me too frequently to explain my still-all-too-often-worn lazy outfits without an accessory in sight. Why do I still not accessorize as well as those busy mamas? It’s pricy. Thank goodness for books like Making Beautiful Bead & Wire Jewelry for rescuing women like me from the depths of accessory avoidance. This wonderful guide from CICO Books and Linda Jones provides 30 affordable ways to rock trendy styles. Are you ready to blow those stylish moms out of the water with gorgeous handmade jewelry? Enter for the chance to win your very own copy of Making Beautiful Bead & Wire Jewelry! 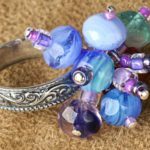 Amass all the knowledge necessary to make stunning jewelry in an affordable way when you get your hands on Making Beautiful Bead & Wire Jewelry. Whether or not you’ve ever attempted to handcraft bling before, this book will guide you to trinket triumph. The addition of wire to your beaded jewelry allows for an abstract, modern look that is spot-on trendy. You will learn how to shape wire into swirls, chains, spirals, butterflies, and free-form creative masterpieces. If you already know how, Making Beautiful Bead & Wire Jewelry presents you with exclusive, unique designs which you can create. Never before have you felt quite so à la mode as when sporting your own hand-crafted jewelry. If you wish to truly enhance your jewelry-making abilities, Making Beautiful Bead & Wire Jewelry is a must-read. The designs which you will make look as though they came from an expensive jeweler, and they are entirely fashion-forward. 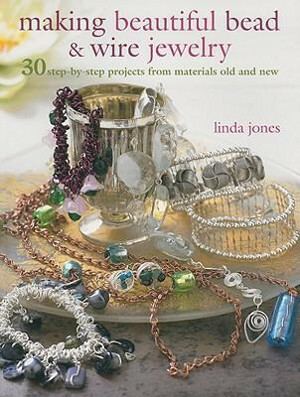 Craft chicly and affordably with the extremely helpful guide on how to become a bead and wire jewelry connoisseur. Enter now for your chance to win a copy of Making Beautiful Bead & Wire Jewelry! The contest ends December 31, 2012, and you can enter once a day, so keep coming back to improve your chances! 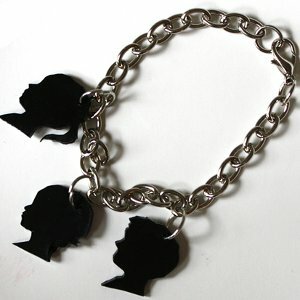 Rings, Necklaces, Bracelets, or Brooches: What type of jewelry makes you feel the most put-together? 3, 2, 1, have some fun and start dancing! It’s almost New Year’s Eve, and you’ve got a spectacular kid-friendly party to throw, or a party that your kids are coming with you to. Either way, you’ve got to keep them having a good time. Why would that make you dance? Because AllFreeKidsCrafts has it all sorted out for you. We have the perfect crafts and recipes to make December 31st go as smoothly as butter. Keep the kids’ tummies full with yummy snacks and tire them out with fun, exciting crafts and you may just get to sneak in your New Year’s kiss without a little nose in the way. Making noise is a blast for the little ones, so encourage it for one night (only one night, for your sake) with noise-making crafts. This will keep the kids focused while you’re doing what you do, and then it will give them something to do when the clock strikes 12 instead of simply screaming. There are some creative ideas out on the internet. 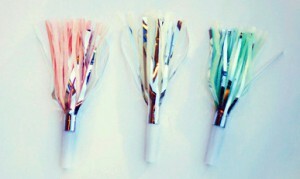 I really enjoy the Fringed Party Noisemakers. Wearing party hats is fun, but wearing party hats that you made is just awesome. 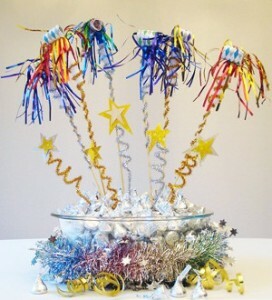 The munchkins will get a kick out of their crafts serving as party decorations everywhere. 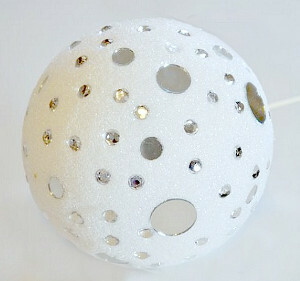 Hands down my favorite New Year’s Eve kids’ craft is the New Year ball that you can “drop” in your own home. It’s really a simple craft that will create an unforgettable memory. How fun is it that you can have your own ball drop rather than just watching it on TV? It’s even better than wearing 3D glasses while watching the event in Time Square. 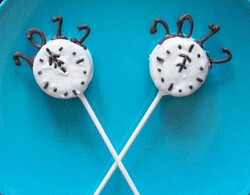 It is essential that you remember that diet resolutions don’t start until it’s officially January 1st, so make New Year’s edible crafts with your kiddos. All of your guests will be delighted by the clever, festive treats that you and your mini sous chefs create. The kids will just love serving their homemade snacks and showing off their artistic abilities. I’m a big fan of the midnight Oreo pops because they’re super simple to make, they’re absolutely delectable, and they’re the perfect size for party food. 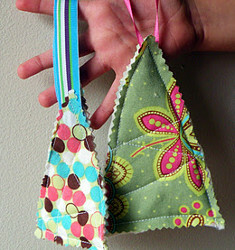 Some other great crafts for your kids or grandkids to make are organizational projects. They’re just as fun for the kids, and they help you out a ton. The kids will look forward to filling their crafts with items, which means that your cleaning will be done for you! Thank the craft goddesses for this one! The organizational castle is a great project that will please both of you. Crown the artist as your New Year’s resolution gets a big head start. Check out Party Time! 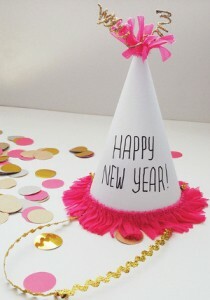 20 Kids’ New Year Crafts and New Year’s Eve Food for a full party craft guide. Do you let your kids/grandkids stay up until midnight on New Year’s Eve? 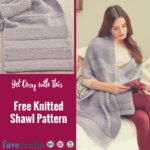 Each year, we at FaveCrafts.com work hard to offer you thousands of the best projects ranging from free knit and crochet afghan patterns and knit and crochet scarves, gloves, and hats to craft organization and storage, holiday crafts, and the trendiest handmade jewelry patterns. Then, you, our beloved readers, give us back some love by browsing the site, trying out the projects, and reporting back about your favorites. The more time you spend on FaveCrafts.com, the better we get to know you. So, a hearty thank you to our loyal readers for helping us determine the absolute best of the best from 2012. Are you curious as to what those top 100 are; which projects are picked out by your contemporaries as must-makes? Wonder no more. 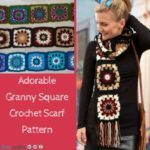 We have got you covered with 100 Craft Ideas: Free Crochet Afghan Patterns, Craft Storage and Organization, Recycling Crafts, DIY Home Decor. Just because you haven’t made the most popular crafts yet does not mean that time is up. 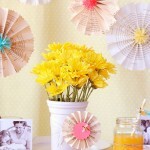 These crafts will stay trendy well into 2013 and beyond. 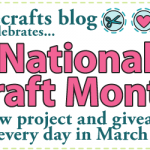 FaveCrafts readers can sense which crafts have staying power, which crafts are worth crafting. In the coming year, expect to see more crafts in the same vein as your favorites. When it comes to knitting and crocheting, you will want for naught. 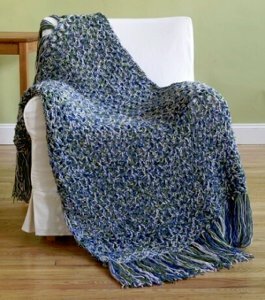 We will load you up on free knit and crochet afghan patterns like the stunning Japanese Afternoon Quilt and the world’s easiest Foolproof Afghan. Head on over to 100 Craft Ideas to see which other amazing patterns made it onto the elite list. You love recycling and so do we. Eight of the top-clicked projects this year are made from recycled materials keeping Mother Earth, your wallet, and you happy. 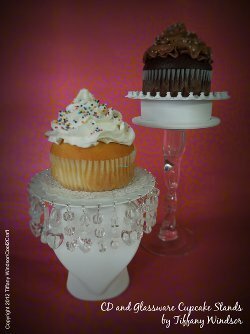 If you happened to miss the trendiest ways to help the environment, simply hop on over and check out the great green crafting ideas and the recycled crafts like the undeniably innovative Upcycled CD Cupcake Stand. Our fashion-forward readers love keeping up on the trends in an affordable way with adorable, comfortable, and well-put-together handmade clothes. No need to be an expert tailor to whip up the darling 20 Minute Ruffle Dress, but if you are, there are gorgeous patterns, like the Fancy Retro Top, for you to show off your handiwork. 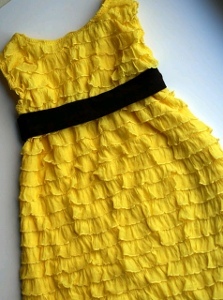 Check out more of the best homemade clothing patterns for all skill sets. The fun doesn’t stop there. There are plenty more of the best crafts for you to drool over. You’ll find do it yourself Christmas gifts and projects, easy home decor, craft organization and storage ideas, tons more knitting and crocheting, and the list keeps on going. 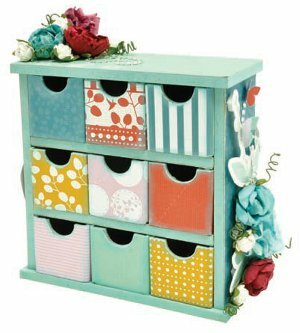 Explore the best 100 craft projects of 2012 with FaveCrafts, and for the love of crafting, remember that you have plenty of time to complete all 100; these top crafts never go out of style. Of all the amazing top 100 crafts, which is your number 1? Run over Grandma and Grandpa with kisses, love, and homemade gifts this Christmas, and keep those reindeer away. Bubbie and Pop Pop are just about the coolest people around, so they definitely deserve some awesome homemade Christmas gifts this holiday season. Don’t worry about coming up with the perfect idea because AllFreeKidsCrafts has hundreds of perfect ideas already picked out for you. The rumors have been confirmed. Grandparents love anything that their grandchildren give them, make for them, or find for them. Grandma will treasure a rock that little Johnny found in the dirt outside her house. So, imagine how overjoyed Granny and Grandpa will be when they receive a handmade Christmas gift that is useful, presentable, and downright adorable. While these are gifts to make for Gram and Gramps, that doesn’t mean they can’t be made with them. 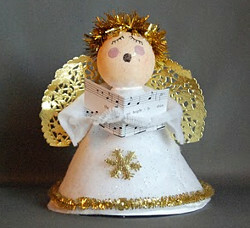 In fact, that would make the gift all the more special since it will be accompanied by the memory of crafting together. Make Grandma and Grandpa holly jolly with some homemade flower crafts this Christmas. Watch Granny’s face light up as you hand her a bouquet of flowers that will never wilt, just like your love. These arrangements of flowers will mean a lot more than a store-bought cone of daisies. Those might smell better, but you can always spritz your craft with perfume, like Floral Perfume, and beat the real ones out completely. 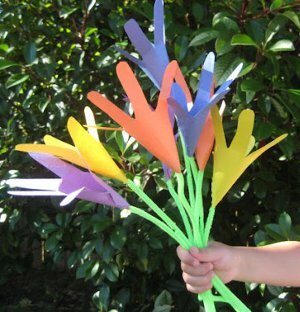 The most authentic-looking and beautiful arrangement that kids can make that I’ve found are the Fun Fabric Flowers. As far as the best grandparent arrangement, I pick the Handprint Bouquet because Mee Maw and Pops love any reminder of their darlings. Since grandparents can’t get enough of drawings made by their little angels, make artwork with longevity this Christmas. I’ve seen a few really cool ideas for transferring artwork, but my favorites are the Transferred Art Decorative Candle and The Sidewalk End’s Pillow Embroidering. 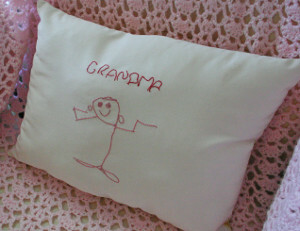 Grandma will be carrying that candle and pillow with her everywhere she goes, so make them extra cute! 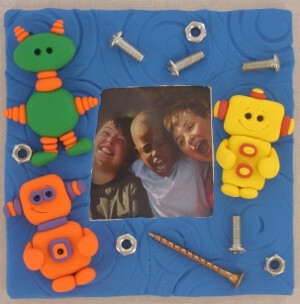 What will grandparents carry around more frequently than grandkids’ artwork? Pictures of their beloveds. 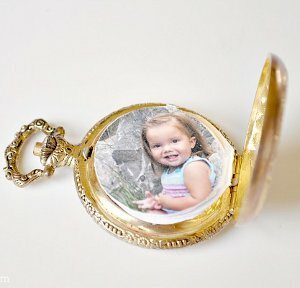 Make that easier for them by giving a cool gift adorned with a picture of little one’s smiling. That way they don’t have to take the picture out and put it back in their wallets 50 times a day. These gifts will keep photos on hand so they can brag about their munchkins with ease. 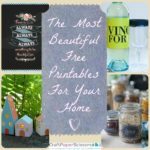 You can get super creative with homemade Christmas gifts featuring children, and some of my favorites are the Pocket Watch Photo Album, which Grandpa can carry with style, and the Silhouette Charm Bracelets, which Grandma will never take off. What is your all-time favorite gift that you received from a grandchild? I envy children’s picture books when I’m attempting to follow a wordy tutorial, and I’ve commiserated with many other adults. Creative International Publishing developed a medicine to cure our jealousy. The Complete Photo Guide to Beading is a miraculous, essential handbook for those who want to learn how to bead as well as those who consider themselves experts. Admire page after page of gorgeous, crystal-clear photography taking you on a journey to beading mastery. Are you ready for the beading adventure of a lifetime? Enter for the chance to be the one lucky winner in the The Complete Photo Guide to Beading Giveaway! Garner the top-secret tricks to making beading easy, yes easy, with The Complete Photo Guide to Beading. It begins with the very basics of beading, introducing each type of bead and any hardware you need to carry forth. Before you even pick out your beads, you will be fluent in the beaders’ language. Take a trip through bead stringing, weaving, and embroidery as you twist and turn through the spectacular world of beads progressing in skill level as each page passes. The most unique aspect of this book, though, is that it goes further than creating jewelry. 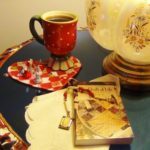 It features beautiful belts, ornaments, dolls, pins, framed pictures, and more to ensure that the book appeals to everyone. Once your eyes are set on the most dazzling composition of beads, you will have no choice but to learn how to make the masterpiece for yourself. 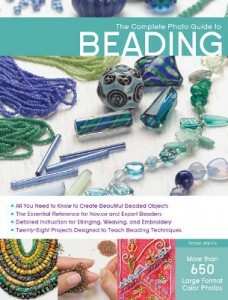 Enter now for your chance to win a copy of The Complete Photo Guide to Beading! The contest ends December 17, 2012, and you can enter once a day, so keep coming back to improve your chances! Stringing, weaving, or embroidery: Which is your favorite beading technique? The kids will have such an amazing time turning their plain old home into a land of enchantment during the merriest time of the year. So, unroll the stockings, dust off the bottles of glitter, and dig up the paint to create 117 of the best kids’ Christmas crafts. Remember, a jolly house means a jolly family. 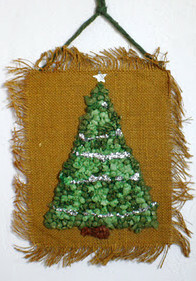 Check out some other fun Christmas crafts I found over at Homework, like this Sew and Tell Christmas stocking. Which craft are your elves sure to make this Christmas? As you hear Santa sliding down the chimney, a wave of panic sets in. You forgot to decorate the tree with impressive ornaments. He’s not going to leave any gifts. Your whole family will be present-less. Fear not! 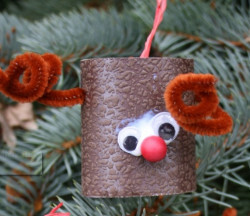 There are super easy and quick homemade Christmas ornaments kids can make. So, it doesn’t matter how far away or close Christmas is; you have plenty of time to make this Christmas tree the best one ever. 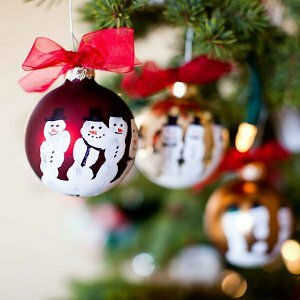 Deck the tree this year with homemade Christmas ornaments made by the precious little ones in your life. Take Christmas back to what it should be: a family holiday. Not a Hallmark holiday. No longer do you need to have store-bought Christmas decorations (except for the lights — unless your child is an engineer in the making). Instead, as a family, craft for the holiday using your hands and your heart. 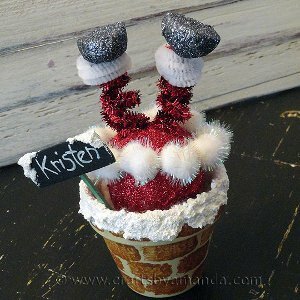 One of my favorite crafts is the Five Finger Snowman Ornament. It’s so incredibly simple, but it looks awesome. Hoping he gets stuck for a bit, you could totally finish this ornament before Santa emerges from the fireplace. I love that it’s easy, but it’s such a long-term keepsake. Anything with reminders of how little they once were are sure to make it past the numerous charity donations and garage sales. 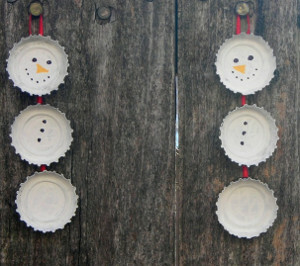 I’m loving on the Bottle Cap Snowman Ornaments over at What I Live For. 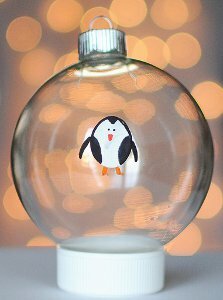 I think they’re a great way to recycle something that you would have just thrown away into a fun adornment for your tree. Recycled crafts mean more money in your pocket, and therefore, more smiles on your face. Maybe it’s just me, but I think repurposed crafts are totally clever, and sometimes they give me a good chuckle. I laugh knowing that not too long ago, someone finished a toilet paper roll, and probably sat there in a bit of a pickle. That same trouble-maker is now a cute little reindeer on the Christmas tree. It’s Christmas. And kids love sparkles. Let them glitz the place up with homemade Christmas ornaments even if glitter isn’t your favorite. 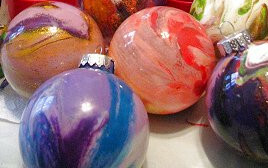 These ornaments are really pretty and look store-bought, so you may not despise the glitter after all. Everyone needs a little glam in their lives anyhow. 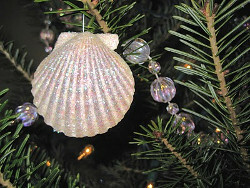 Muffin Tin Mom is sparking like a star, and you and your kids should too by crafting Recycled Glitter Star Ornaments. You and your munchkins deserve to feel fabulous during Christmas! As an awesome bonus ornament for you to make with the kids, check out the Accordion Ornament at Under the Table and Dreaming. 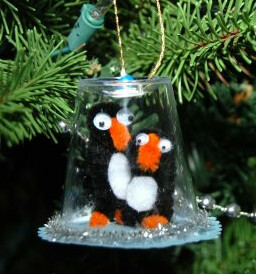 What’s your favorite homemade ornament on your Christmas Tree? It seems these days that everyone has a birthday, so make yours special by serving an amazingly unique birthday cake. Don’t just buy it though; make it! 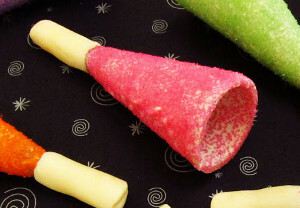 It doesn’t matter how crafty you think you are or don’t think you are, anyone can make this awesome kids’ treat with the help of this wonderfully clear tutorial. 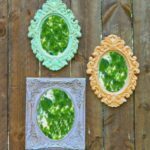 If you’re having trouble thinking of other crafty treats to accompany the great cake, over at AllFreeKidsCrafts we have plenty of ideas for you! There won’t be any malfunctions during your birthday party when you make a robot candy cake– that is, as long as you don’t press your robot’s buttons. This cake is perfect for a mixed crowd because it involves both cake and candy, which means it’s been programmed to please everyone. If you’re a little “rusty” on the trends, listen up: robots are all the rage (see below). Make your birthday party trendy and tech-savvy with an intelligent sweet. Follow the video tutorial, and you and your kids can easily make this amazing cake. Twist Twizzlers, program M n Ms, and roll chocolate wafers into this incredibly soft, delicious cake to design the perfect robot pal (whom you’ll soon eat, so don’t get too attached). Kids and adults alike will be in awe over this adorably creative cake. Once you’ve mastered the robot candy cake and seen the extremely favorable response, perhaps you’ll be able to create a cake on your own. Follow the tips from the tutorial, and you should be a cake making master in no time! Watch and learn the nuts and bolts of making a robot cake. Overload your party with robots with these robot crafts! What is your favorite birthday party theme? Mmmm. The aroma of turkey spreads through the air, the sound of the football announcer booms through the television, and you’re finally relaxing when…BAM! “I’M BORED!” Your beloved munchkins have had their fair share of football and boring adult talk, and they “wanna do something!” Thanksgiving is not complete without crazy little ones running around in circles. AllFreeKidsCrafts.com has come to the rescue with kids’ Thanksgiving crafts and activities that will occupy the kids for weeks before Turkey Day and on that special day of relaxation and family. Make Thanksgiving this year enjoyable for adults and kids alike. Get crafty with grandpa and granny! Grandparents, I know that you love spending all the time with your grandchildren that you can, and in our collection of 45 Kids’ Thanksgiving Crafts there are tons of projects for Thanksgiving that you and your grandkids can make together! That would definitely make Thanksgiving a perfect family day; wouldn’t it? 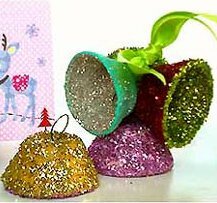 How about some recycled crafts to thank the environment or edible crafts to thank your stomachs for expanding during the holiday season? Make adorable tasty turkey crafts to accompany the mashed potatoes and stuffing and to entertain the kids. Kids just love cooking with grandma. Trust me; I was a kid once. As meal time seems to be the hardest time to keep the kids calm, try activities like Total Turkey Trivia, Thankful Turkey Paper Feathers, and Thanksgiving Dinner Boredom Busters at the table this November. You will not believe how smoothly the holiday meal plays out when the kids are competing to know the most about turkeys or to make the best paper bag turkey you ever did see. They can practice their spelling and being gracious while having fun. You read that right. Did I say something about occupying the kids weeks before Turkey Day too? I did. And you can. With 45 great crafts to choose from, you can deck your home with kids’ Thanksgiving crafts and keep the kids busy for much of November. You won’t be able to enter any room without being surrounded by feelings of thanks. The kids will get pretty excited to come home after school and craft that day’s Thanksgiving “dressing.” Don’t let them down. Here are 45 ideas for kids’ crafts that they can make come to life in the weeks approaching Thanksgiving. Check out some other kids’ Thanksgiving crafts and treats over at A Little Tipsy. What do you do with your grandkids/kids when they start getting antsy during family events?